The Last Rescue (2015) | A World War II story from Puget Sound filmmakers: Shortly after D-Day, three American soldiers and two Army Corps nurses are stranded behind enemy lines. They take a high-ranking German officer as their prisoner and try to orchestrate an escape. 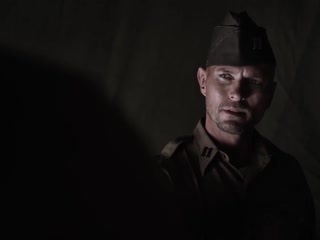 War Pigs (2015) | Disgraced World War 2 Army Captain Jack Wosick is given the opportunity for redemption when asked to lead a rag-tag unit of misfits known as the War Pigs on a secretmission to go behind enemy lines to uncover and capture a Nazi developed Super Weapon the V3, a massive artillery canon that would give the Nazis an insurmountable advantage against the Allies. 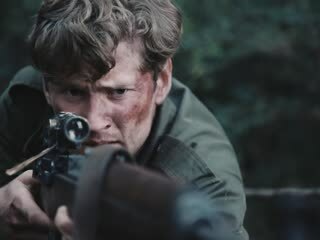 With the help of Captain Hans Picault, a German Anti-Nazi serving with the French Foreign Legion and Colonel AJ Redding, a battle hardened WW1 veteran, Jack must train, lead and earn the respect of his new squad to become a functioning reconnaissance unit. Under Sandet 82015) | In the wake of the Second World War, the Danish authorities force thousands of German prisoners of war to defuse the millions of mines buried on Danish beaches. 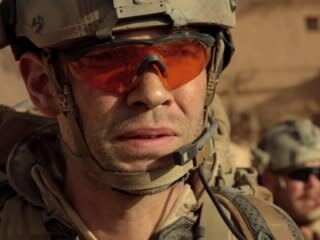 Hyena Road (2015) | Three different men, three different worlds, three different wars - all stand at the intersection of modern warfare - a murky world of fluid morality where all is not as it seems. Camp X-Ray (2014) | A young soldier escapes her suffocating small town by joining the military, only to find that she isn't going for a tour of duty in Iraq as she hoped. Instead, she's sent to Guantanamo. Met with hatred and abuse from the men in her charge, she forges an odd friendship with a young man who has been imprisoned at Gitmo for eight years. 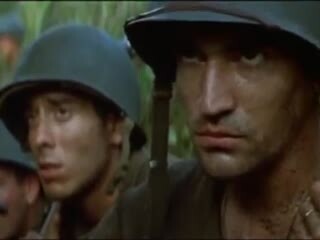 The Thin Red Line (1998) | U.S. Army Private Witt (AWOL) is found and imprisoned on a troop carrier by his company First Sergeant, Welsh.The men of C Company,1st Battalion,27th Infantry Regiment,25th Infantry Division have been brought to Guadalcanal as reinforcements in the campaign to secure Henderson Field and seize the island from the Japanese. They arrive near Hill 210, a key Japanese position. Their task is to capture the hill at all cost. 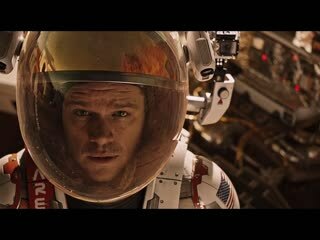 What happens next is a story developing about redemption and the meaningless of war. Regardless the outcome. 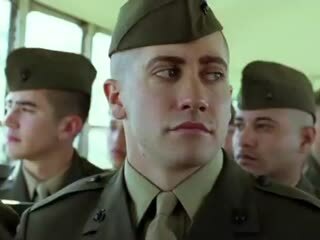 Jarhead (2005) | Anthony "Swoff" Swofford, a Camus-reading kid from Sacramento, enlists in the Marines in the late 1980s. He malingers during boot camp, but makes it through as a sniper, paired with the usually-reliable Troy. The Gulf War breaks out, and his unit goes to Saudi Arabia for Desert Shield. After 175 days of boredom, adrenaline, heat, worry about his girlfriend finding someone else, losing it and nearly killing a mate, demotion, latrine cleaning, faulty gas masks, and desert football, Desert Storm begins. In less than five days, it's over, but not before Swoff sees burned bodies, flaming oil derricks, an oil-drenched horse, and maybe a chance at killing. Where does all the testosterone go? Monuments Men (2014) | Based on the true story of the greatest treasure hunt in history, The Monuments Men is an action drama focusing on an unlikely World War II platoon, tasked by FDR with going into Germany to rescue artistic masterpieces from Nazi thieves and returning them to their rightful owners. It would be an impossible mission: with the art trapped behind enemy lines, and with the German army under orders to destroy everything as the Reich fell, how could these guys - seven museum directors, curators, and art historians, all more familiar with Michelangelo than the M-1 - possibly hope to succeed? But as the Monuments Men, as they were called, found themselves in a race against time to avoid the destruction of 1000 years of culture, they would risk their lives to protect and defend mankind's greatest achievements. Ben-Hur (1959) | Judah Ben-Hur lives as a rich Jewish prince and merchant in Jerusalem at the beginning of the 1st century. Together with the new governor his old friend Messala arrives as commanding officer of the Roman legions. At first they are happy to meet after a long time but their different politic views separate them. 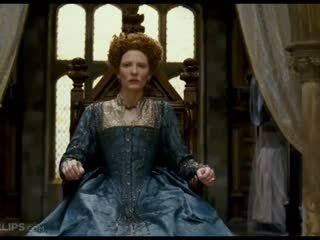 During the welcome parade a roof tile falls down from Judah's house and injures the governor. 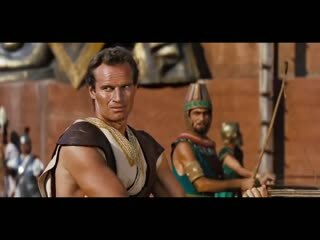 Although Messala knows they are not guilty, he sends Judah to the galleys and throws his mother and sister into prison. But Judah swears to come back and take revenge. 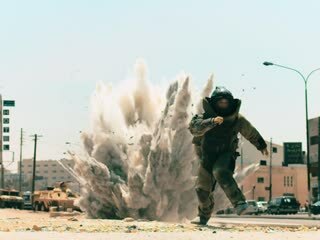 The Hurt Locker (2008) | An intense portrayal of elite soldiers who have one of the most dangerous jobs in the world: disarming bombs in the heat of combat. When a new sergeant, James, takes over a highly trained bomb disposal team amidst violent conflict, he surprises his two subordinates, Sanborn and Eldridge, by recklessly plunging them into a deadly game of urban combat. James behaves as if he's indifferent to death. As the men struggle to control their wild new leader, the city explodes into chaos, and James' true character reveals itself in a way that will change each man forever. 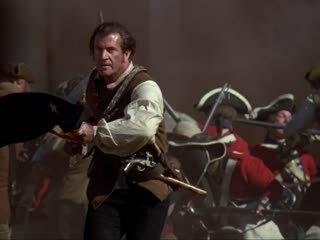 The Patriot (2000) |It is 1776 in colonial South Carolina. Benjamin Martin, a French-Indian war hero who is haunted by his past, now wants nothing more than to live peacefully on his small plantation, and wants no part of a war with the most powerful nation in the world, Great Britain. Meanwhile, his two eldest sons, Gabriel and Thomas, can't wait to enlist in the newly formed "Continental Army." When South Carolina decides to join the rebellion against England, Gabriel immediately signs up to fight...without his father's permission. But when Colonel William Tavington, British dragoon, infamous for his brutal tactics, comes and burns the Martin Plantation to the ground, tragedy strikes. Benjamin quickly finds himself torn between protecting his family, and seeking revenge along with being a part of the birth of a new, young, and ambitious nation.